This Valentine’s weekend, two little princesses and their daddy danced the night away at our church-sponsored Father Daughter Dance. To celebrate and hope in happily ever afters. What makes a little girl want to be a princess or a boy want someone to fight for? Thanks to fairy tales, the beauty of romance can be learned at a young age. The noble, the gallant, the bold, and the brave all fighting for someone to save. Our hearts long for the realization of redemption. We sigh at the happily ever afters. I’ve kept this one since I was a girl. 1. Best Loved Fairy Tales of Walter Crane. My first book of fairy tales given to me by my mother. Includes The Frog Prince, Little Goody Two Shoes, Beauty and the Beast, and the less familiar, The Hind in the Wood. The exquisite detail of 1930’s neoclassical illustrations beg to be traced, copied, and colored. 2. A Book of Famous Fairy Tales by Hans Christian Andersen. These original versions, translated from the Danish-born Hans Christian Andersen are sometimes less black and white in their happily ever afters. That’s what I like about this antique anthology. Truer to the original versions by the Brothers Grimm, these fairy tales contain more peril than updated retellings. At the end of Snow White, the wicked stepmother is made to wear burning hot shoes until she dances herself to the grave. In Rapunzel, the prince is blinded by thorns. Some of the tales may not be appropriate for younger children, still the charming pictures, by Diane Goode, bring out the brilliant beauty of each character. A redemption story at its best, Beth Moore created this fairy tale as a parable of life for all God’s children. Frustrated with all the work her father makes her do, a princess decides to run away. But life outside the kingdom is not what she expects it to be. Cinderella is one of my favorite fairy tale characters. Far from Disney’s version, Marissa Meyer’s Cinder is a marriage of both fantasy and sci-fi. Cinder is a futuristic cyborg who falls in love with the crown prince. The first in a series of four, you may have to read on to see if Cinder truly experiences a happily ever after. I love it when an author finds a forgotten story and breathes into it new life. This is one such fairy tale that will remain remembered thanks to author and illustrator, Emily Winfield Martin. The newest book by my favorite author, Cynthia Rylant, is sure to delight all ages. With words that carry a deeper, richer meaning, making it the best kind of fairy tale. 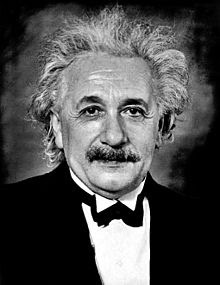 The name Einstein brings up the image of man who is synonymous with crazy hair, a bushy mustache, and E = mc2. When someone is called an “Einstein” it means that person is considered a genius—exceptional at learning, thinking, and problem solving. So, who was the man behind the name? 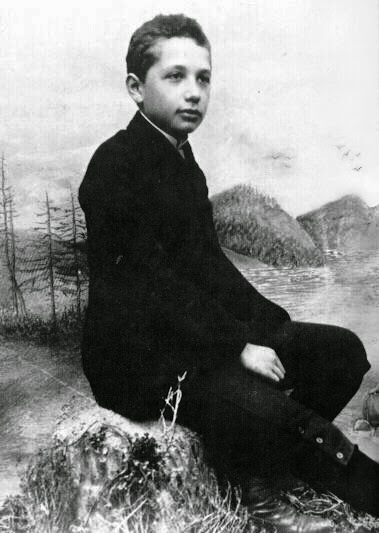 Albert Einstein was born March 14, 1879 and grew up in Germany. His father owned a company that sold electrical equipment, so he wanted Albert to pursue a career in electrical engineering. The school where Albert attended taught primarily through drills and strict rote learning, which he struggled with. He described this teaching style as losing “the spirit of learning and creative thought.” Einstein may have not liked repetition and memorization of facts, but it may have helped him later when writing papers and calculating great mathematical figures to have this foundation of knowledge. 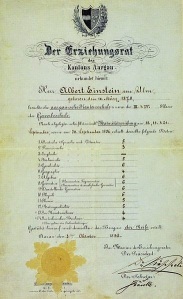 Although Einstein received top grades for physics and mathematics at age sixteen, he failed to pass the general education portion of the examination to enter the Swiss Polytechnic school and pursue a career in physics. He spent a year focusing on his studies. At age seventeen, he tried the examination a second time and passed, entering their physics teaching program. In 1903, when Einstein was 24, he secured a job as a patent examiner, helping to decide whether new ideas and inventions worked and were not copies of ones that already existed. Reviewing ideas of other scientists and inventors inspired Einstein to form his own ideas, ones that nobody else thought of. It is during this time that Einstein joined a discussion group with friends who all had the same interest in physics called “The Olympia Academy.” They met together on a regular basis to discuss science and philosophy. In 1905, Einstein earned his PhD in physics and in the same year wrote his most famous “1905 papers.” These papers discussed new concepts, including the theory of general relativity. During a solar eclipse in 1919, in accordance with Einstein’s calculations, light from another star appeared bent by the sun’s gravity. In 1921, Einstein was awarded the Nobel Prize in physics. He traveled to the United States to meet with other scientists and share his findings. From then on, he met with other scientists around the world until he returned to the the U.S. in 1933, the same year Adolf Hitler rose to power in Germany. Hitler made it clear in his speeches that he hated Jews and blamed the Jewish people for all of Germany’s problems. Jews were denied their rights and began to be relocated to camps where many were mistreated or killed. Einstein was Jewish and knew it would be dangerous to return to Germany while Hitler was in power. Einstein spent the rest of his days mainly in the United States, where he eventually became a U.S. citizen in 1940. He liked Americans’ “right to say and think as they pleased,” he said, which encouraged people to be more creative—the same freedom that helped him to pursue his own areas of interest, leading him to develop some of the most important basic concepts in physical science. Einstein taught himself how to play the violin and was invited to play as a symphony guest in a professional orchestra. The other violinists were amazed at his incredible ability to play. 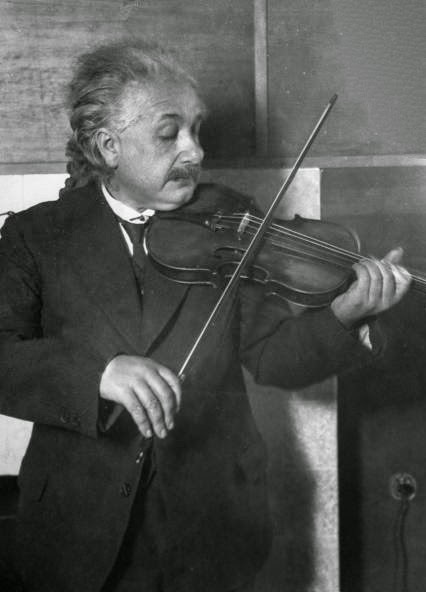 Einstein’s love of music may have been a factor in his high intelligence. 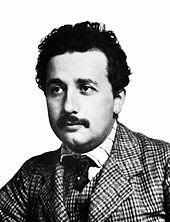 He was said to have been playing piano while trying to work out the theory of relativity. The ability to process, understand and create music is located in the right hemisphere of the brain, as well as, control of the body and the ability to perform functions like dancing, playing an instrument or writing a paper. Language, reading and mathematical reasoning are located in the left hemisphere. Many people are stronger in one hemisphere and weaker in the other. But, having a balanced brain—to be strong in both hemispheres—makes it easier to learn. To strengthen both left and right hemispheres, it is helpful to do exercises—physical and mental—using both sides of the brain at the same time. To have balanced brain is one step to learning better. Another step is to develop stronger connections between both sides of the brain. This can be achieved through crossing the midline or using one side of the body to cross over to the other side. Play games that challenge players to reach from one side of the body to the other side, like the Minute To Win It balloon game. The part of the brain that connects both sides is called the corpus callosum. This part of the brain is covered with a white substance called myelin, which is made up of the same healthy fats found Omega-3 rich foods like fish, flaxseeds and walnuts. The more myelin, the stronger the connection between the right and left sides of the brain. Eating foods or taking supplements like fish oil that contain Omega-3 fats helps our brain to work better. Also, having a diet that includes all five food groups will help the brain function well. If you have food allergies, be careful to avoid those foods that cause inflammation in the body. Einstein did not think it wise to merely memorize facts without learning how to use them to form new ideas and explain complex problems. 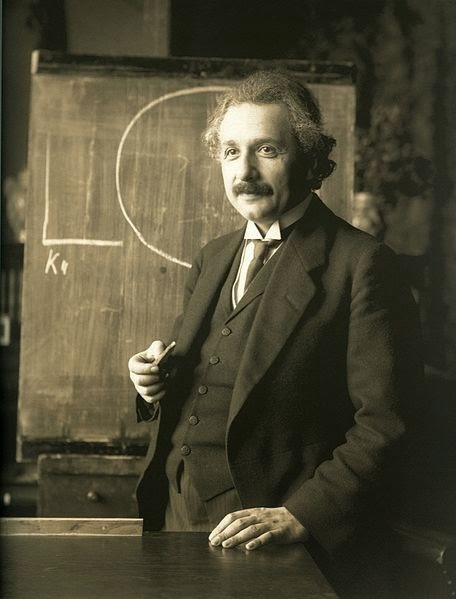 In Einstein’s time, the classical teaching method was used to educate children. There are three stages or levels of learning in this method: grammar, logic and rhetoric. The grammar stage of learning usually takes place in elementary school. It is important to learn the basic math facts, phonics sounds, spelling and grammar rules to do mathematical computations and read and write independently. Einstein struggled in this stage, but still needed to learn these basics to be able to do research and write about his findings. It is important to work hard to master this level before moving on to the next level. In the logic level, a student is able to use all the knowledge learned in the grammar stage to think about the “why” behind reading and math. At this stage, students will begin to answer more difficult questions by analyzing a story or using basic math facts to solve algebra and geometry. This is the beginning of active learning, where students can begin to form discussion groups, much like Einstein’s Olympia Academy. One good way to form a discussion group is to start a book club and read through the same book, meeting together once a month. Or join a math club, science club or problem solving club that meets regularly. A student entering the rhetoric level will be able to create a new idea or solve a problem by using the scientific method to attempt to prove it and share findings through writing and giving a presentation. Einstein achieved this level and spent the latter part of his life giving talks about his research and theories. Speakers on the TED talks, are good examples of people who have progressed to the rhetoric level of learning. Through the development of learning, thinking and problem solving abilities, our children can be like Einstein and have their own ideas worth spreading.